The Vinery Hair Salon: Make A Difference Day Fundraising Success! The Vinery Hair Salon jumped at the chance to raise money for Kirkwood Hospice Make A Difference Day with a 24-hour Blowdry-A-Thon this year! Staff members took it in turns to work 'shifts' for Blowdry-a-Thon clients who booked in for a complimentary blowdry in exchange for a donation to local Huddersfield-based charity Kirkwood Hospice. Luxury Hair Brand Neal & Wolf supplied a full range of products for the event and each client left with product freebies as a small thank you for their support. The Blowdry-A-Thon took place from 9am on Thursday 31st October through until 9am on the following Friday morning. 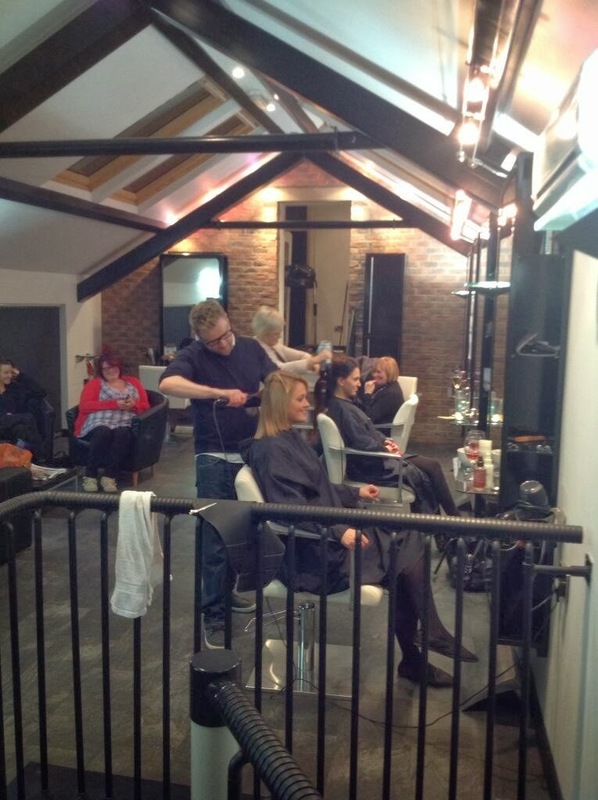 Salon Owner Gavin stayed throughout the night alongside colleagues Jodie Brierley (Creative Designer) and Angie Grant (Senior Stylist) who were on hand to help with the midnight rush. There was plenty of strong coffee on hand and a couple of cheeky glasses of Prosecco certainly went down well with the later clientele who sacrificed their beds for a blowdry! 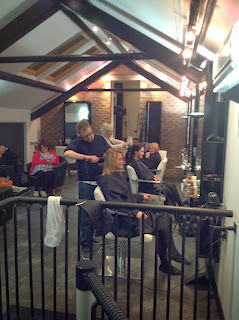 A very tired Gavin finally hung up his hairdryer at 9am on Friday morning, with the salon having raised over £450! Kirkwood Hospice is a local charity that provides support and respite for people facing life-threatening illnesses and their families. They launched Make A Difference Day this year in conjunction with Pulse WY Radio to raise much needed funds in order to continue the vital care they provide for patients and their families who use the services at Kirkwood Hospice.